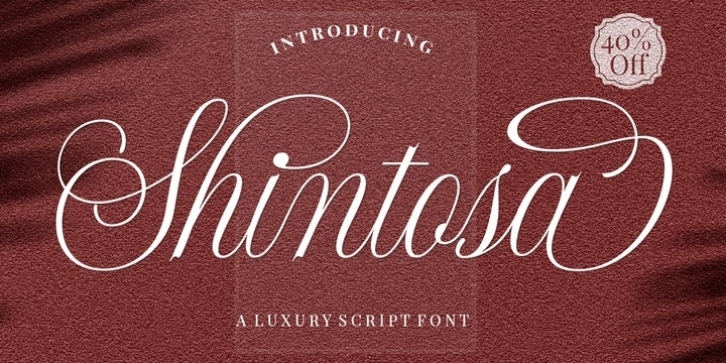 Shintosa Script is a stylish calligraphy font that features a varying baseline, smooth connections, classic and elegant touch. It’s a classic decorative copperplate script with a modern twist. There are many stylistic alternatives for many letters. Can be used for various purposes such as headings, signatures, logos, wedding invitations, t-shirts, letterheads, signage, labels, news, posters, badges, and more!